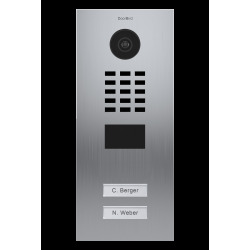 IP video door phone in brushed stainless steel. 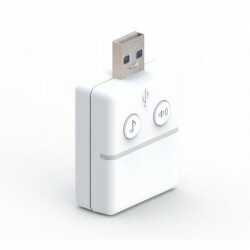 Flush mounting. 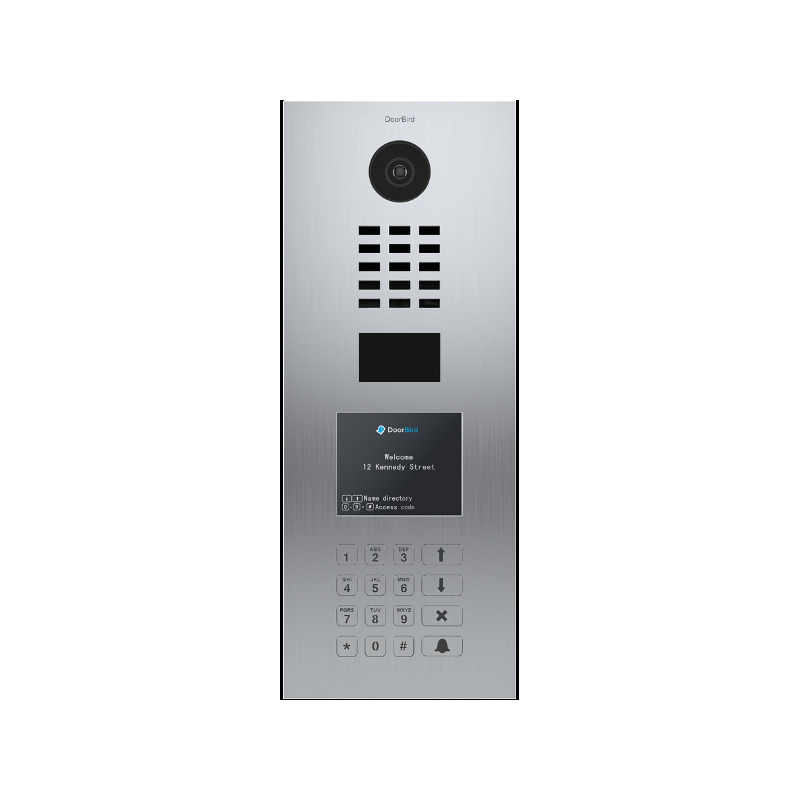 Up to 100 call combinations, for up to 100 different homes or offices, sharing the same physical installation. 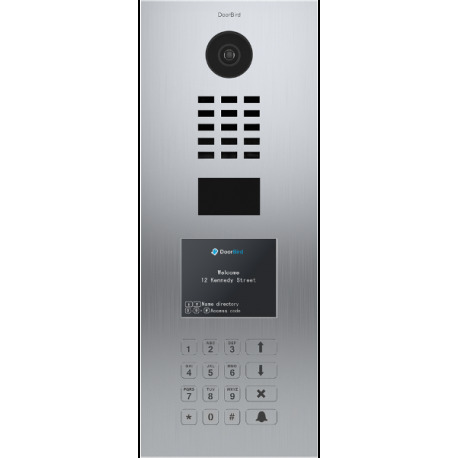 Doorbird is an IP video door entry system that allows you to attend it at home or anywhere in the world, without losing the call of any visitor that also integrates RFID. 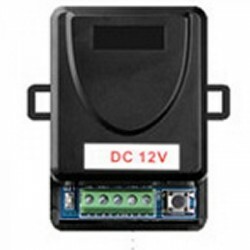 Model D21DKH to fit. 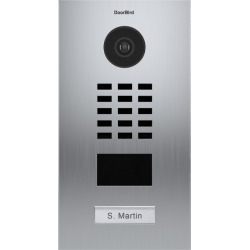 The DoorBird D21DKH IP Video Doorphone is a recessed IP Video door intercom for multi-dwelling residences with a brushed-finish stainless steel housing. 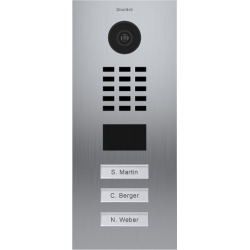 You can see your visitors, talk to them and open the door through a smartphone and a tablet. 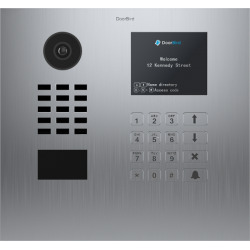 The DoorBird D21DKH sends automatic notifications to up to 8 users in each home and can be used remotely through a smartphone and a tablet. 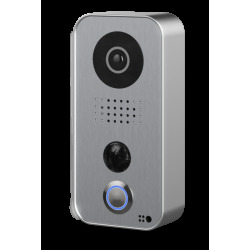 The DoorBird D21DKH offers live 720p HDTV video at 110 ° viewing angle and detailed night vision. 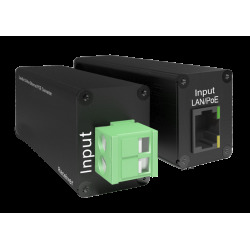 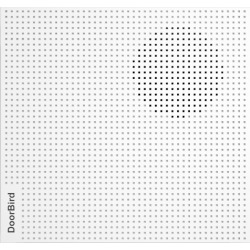 The DoorBird connects via Ethernet cable. 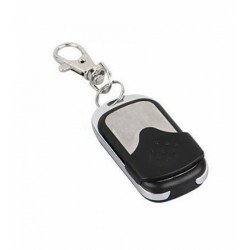 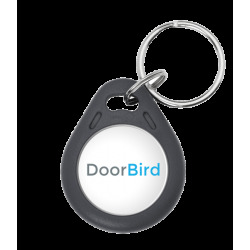 The free application DoorBird works with Android and iOS. 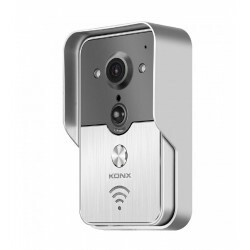 Each owner or neighbor controls the gatekeeper from their own network. 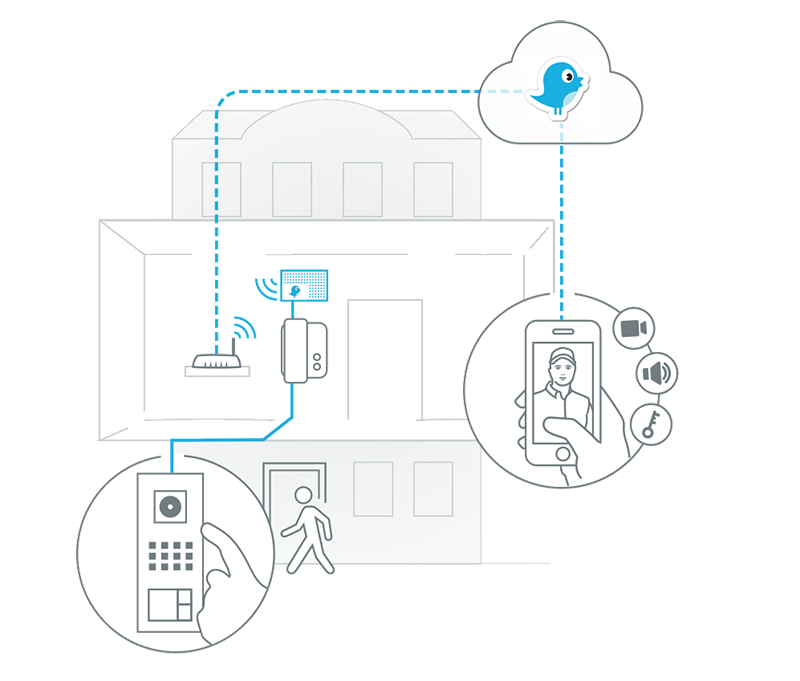 With DoorBird you can have your house at your fingertips, no matter where you are. 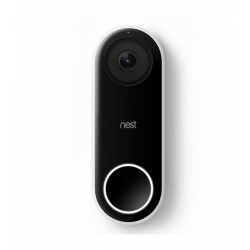 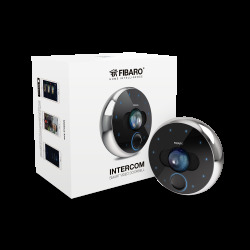 We offer numerous smart Addon devices that can be easily connected to our DoorBird IP video door phone: there are wireless models with zero configuration and no installation problems. 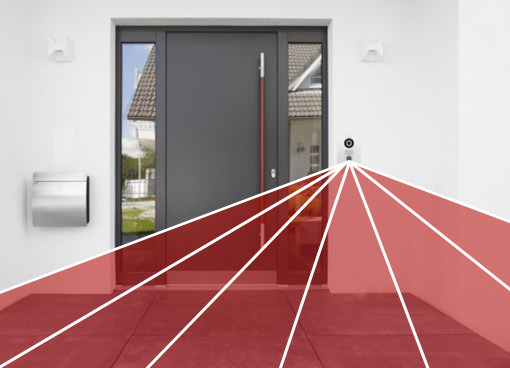 In addition to that, you can use our DoorBird Connect function and also our API to combine third-party components such as Danalock locks, Z-Wave home automation controllers or even your own smart home creation with our system. 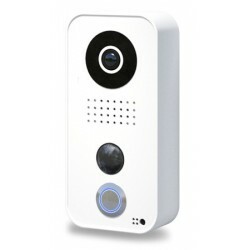 ADDITIONAL ACCESSORIES Available separately See www.doorbird.com/buy Warning: Specialist knowledge or an electrician will be required when assembling.